Block paving driveways can be unique, and they really stand out. It’s easy to understand why block paving is such a popular alternative to the more traditional tarmac and concrete driveways. First, block ​paving​ ​driveways don't tend to be as costly as other surfacing methods. But its main attraction is the great personalisation possibilities it offers. Flexible in its application, the design options are almost limitless. Today’s materials come in many colours, styles, sizes and finishes available to suit all tastes. We only use high-quality materials that have proven durability. By mixing block sizes or colours it’s easy to achieve a truly unique design to match the style and feel of your property or create an arresting contrast – traditional, modern, post-modern and everything in between! You can add to your driveway’s uniqueness by incorporating attractive features like colourful circles, pretty kerbs, zig-zagging pathways and clever edging that will lift your property’s kerb appeal. As experienced ​block​ ​paving driveway installers, we’re also experts at other surfacing methods like ​resin paving, tarmac and concrete​. If you’d like to find out about the best option for your project, contact us today to arrange your free, no obligation quote with one of our surveyors. 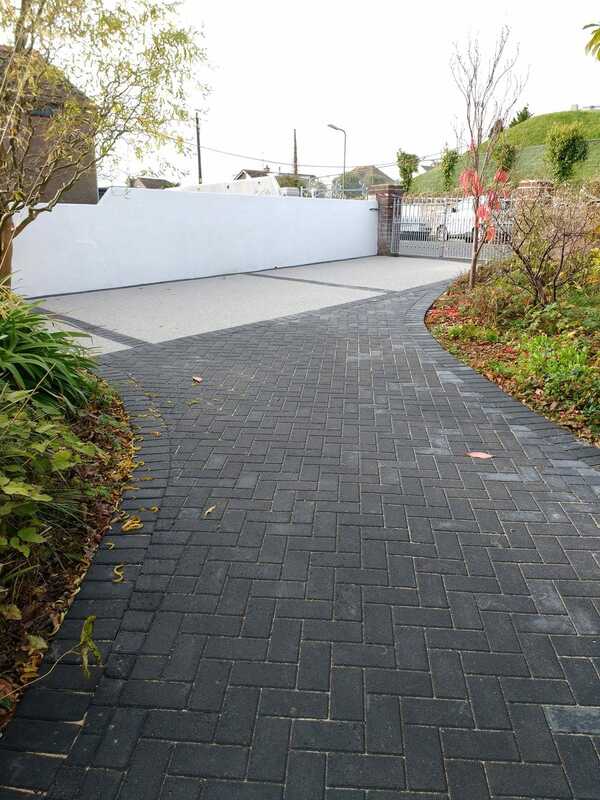 We install block ​paving​ driveways throughout Devon, Cornwall, Somerset and Dorset​.